Atypical depression (AD) is something of a misnomer, especially given that it is the most common sub-type of clinical depression. 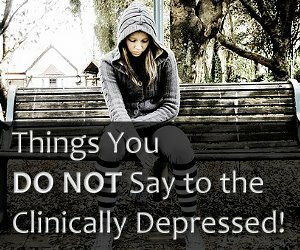 It differs from classic depression and its other sub-types in several ways, but mostly strikes when the victim is a teenager. AD can last a lifetime if it is not treated. And therein lies the problem. Atypical depression is not easy to treat with medicines; it does not respond well to the usual tricyclic anti-depressants that help doctors grapple with clinically depressed patients. Research and controlled studies continue to be performed in the interest of getting the facts about the causes of atypical depression, and there are several schools of thought on the subject; all posits contained herein are based on information from qualified medical professionals. The path to understanding AD begins by examining what it is and what it is not, perhaps more so the latter, and what it may or may not be; the variables are many. 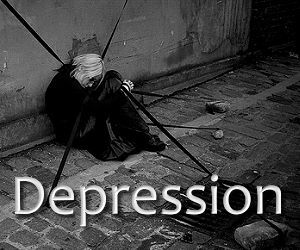 The psychological traits that atypical depression tends to share with other forms of depression include: anxiety; loss of interest in life’s enjoyments; sexual disinterest; relationship conflicts; and a sense of despair or hopelessness. In many cases, atypical depression appears in the teenage years and is frequently misdiagnosed as typical teen blues or teenage angst. Women, at a ratio of about 4 to 1, endure more bouts of AD than men. Younger people with AD tend to suffer more from the symptom called “hypersomnia”, or excessive sleep; this is not to be confused with commonly perceived laziness in teenagers and their uncanny ability to sleep half the day. Older patients with atypical depression endure more incidents of “polyplasia” (gluttonous eating) than younger ones. Functional impairment is more profound in AD than other types of depression. This commonly results in the inability to work and the according financial stress; that can serve to exacerbate the AD. An increased likelihood of assuming other psychological syndromes, such as obsessive-compulsive disorder, panic attacks, avoidant personality disorder (even sometimes resulting in agoraphobia, or fear of open spaces), and related social phobias. The worst and perhaps most dangerous aspect, because it stands as a significant precursor to suicide, especially among teenaged girls and young women, is the increased occurrence of body dysmorphic disorder. This obsession with not just weight, but body image and size, can lead to other serious psychological conditions; it is very serious in and of itself. What AD is not: schizophrenia or multiple-personality disorder, or borderline personality disorder; dysthymia or major depression; anorexia nervosa or bulimia; or bipolar disorder, although it shares some things in common with manic depression. 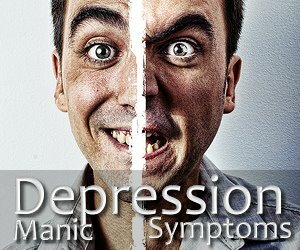 It can be confused with manic depression because victims of atypical depression are often able to find relief by experiencing positive events; this is classified as “mood reactivity” and is contrary to most other forms of depression. Warning: The problem with mood reactivity within atypical depression is that it perpetuates the myth that depression is merely a state of mind, not a disease of mental illness, and that victims should just snap out of it. Because atypical depression sufferers can seem to come out of their depressed state when good news comes about (the birth of a baby, a hot date, a lottery win, or other uplifting knowledge), this may lead people with limited or no understanding of depression to assume that happy announcements are all it takes to “cure” depression. This is simply not true. What AD may be: two physiological elements can be (but are not necessarily) part of atypical depression in most people, and they are extreme or intense cravings for carbohydrates, and thyroid dysregulation. Both have found intrinsic connection to atypical depression, but neither is required for atypical depression to exist. Still, there are appears to be a link, at least in some patients. Those suffering carbohydrates cravings are enjoying success with treatments using a mineral supplement, chromium picolinate; this seems to assuage the intense need for “carbs”. Patients with thyroid dysfunction often benefit from drugs that are normally used to treat hypothyroidism (low thyroid function). Heredity. If there is a family history of depression of any description, blood relatives may have a proclivity to AD. Drug or alcohol abuse. As if there aren’t enough negatives to such excess, atypical depression may be another outcome. Serious disease or illness. Life-threatening and/or terminal illness can trigger a prolonged episode of depression, including AD. Trauma, especially grief. Almost everyone who experiences grief also endures a period of depression (at some level) as part of the grieving process. When that does not find its natural end, the depression may have manifested in more serious terms, and atypical depression is a fairly common form of post-grief depression. Physical, sexual or emotional abuse. Generally, atypical depression sets in after the abuse has ended. The mind strangely needs to cling to misery and creates what the bearer is accustomed to. 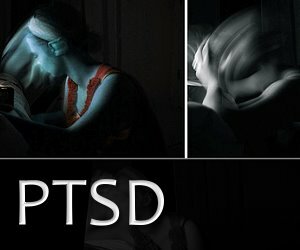 AD may also appear during the phases of abuse and acts as a mental buffer in helping repress memories that are too painful for the mind to cope with, enabling the survival of the victim. Isolation. This is something of a Catch-22. The individual suffering from AD caused by social isolation may have themselves created that social isolation because they suffer from AD and regard themselves as socially unacceptable. Some psychiatrists believe that atypical depression has genetic predisposition, especially in cases where pregnant women suffered any form of depression while carrying their child. It may be something more simple than this or any of the possible causes listed above; some people are more prone to atypical depression than others and there may be no obvious reason for it. No trigger. No explanation. It happens. What Does Atypical Depression Feel Like? Like other types and sub-types of depression, the overwhelming feeling of atypical depression is a sense of profound sadness, chronic anxiety, and a degree of hopelessness (ie: this is never going to improve). What critically accompanies AD is the tendency to over-eat, resulting directly in weight gain and the issues inherent to that. People with atypical depression report a feeling of heaviness, both overall (like there is a huge weight resting on the shoulders) and in the arms and legs; this is sometimes associated with a feeling of paralysis in the limbs. They suffer a tendency to “pick fights” with people they normally get along with, and a desire to distance themselves from others (which may be why they instigate arguments for no other obvious reason). Sufferers of AD who may have also suffered other forms of depression indicate that the desire to eat is almost irresistible, even when they are not hungry. And the ease of just rolling over in bed and going back to sleep is experienced without guilt of being irresponsible. Psychiatric doctors believe that atypical depression is significantly more prominent and therefore under-diagnosed than other forms of depression. It is too easily attributed to “attitude” and because of the mood reactivity, can seem to be a “selective psychosis”. An accurate diagnosis of atypical depression will involve many of the symptoms cited above, but probably the key method of differentiating it from other forms of depression is to think of Eeyore, the donkey in A. A. Milne’s “Winnie-the-Pooh” stories. Nothing could lift Eeyore’s spirits; he was chronically sad and that typifies “normal” forms of depression. If you feel like Eeyore and not even the best external event can make you smile (sincerely), then you are likely not suffering from atypical depression. Is Atypical Depression Treated Like Normal Depression? Because it is the same as and different from other forms of depression, atypical depression requires some adjustments in treatment, but the best approach remains a combination of drugs and psychotherapy, together with possible lifestyle alterations. Certain factors command specific medical intervention for patients diagnosed with atypical depression. Because some of the newer depression drug therapies do not appear to have any effect, an older (but still effective) prescription drug is relied upon to treat AD. Known as monoamine oxidase inhibitors, MAOIs, these drugs do not interact well with all foodstuffs and there is a risk of serious side-effects. This varies with individuals, but given that MAOIs are available by prescription only, doctors will have the ability to advise patients about which foods to avoid while ingesting the drug. Atypical depression is regarded as a chromic syndrome, but that does not mean a sufferer will never be helped to the point where life feels normal again. Because the symptoms of atypical depression are mixed with “normal” depression, and some appear as a low-grade version of bipolar disorder symptoms, the approach is complex and confusing, even for the most experienced doctors. Individual reactions to treatment will vary as much as the collection of symptoms a patient does or does not exhibit. It may be more of a conundrum than other forms of depression revealed at the time of diagnoses, but patience and persistence on the part of doctor and patient will lead to at least an improvement in the state of atypical depression in the vast majority of sufferers.